The jazz, folk and soul singer Terry Callier has died aged 67. He was reportedly found dead at his home yesterday, having suffered a long-term illness. A prodigious musician from the age of three, Callier’s career began after he set up residency at a coffeehouse in his native Chicago, having performed with a number of doo-wop groups in his early teens. His sets at the Fickle Pickle brought him to the attention of Chess Records arranger Charles Stepney, who produced Callier’s first single ‘Look At Me Now’ in 1962. 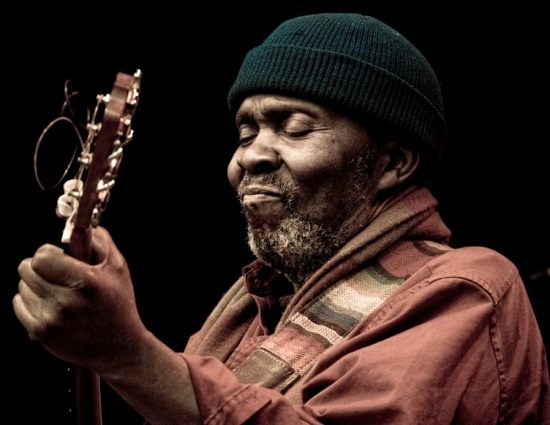 His first album, The New Folk Sound Of Terry Callier, was released in 1968, and in 1973 his partnership with Stepney brought about the albums Occasional Rain and What Color Is Love?, which distilled Callier’s signature sound, meshing folk and jazz. While the singer broke into the mainstream with ‘Sign Of The Times’ in 1979, he was dropped by his then-label Elektra, and largely retired from music in the early 80s. However, a phone call from Eddie Pillar, head of the Acid Jazz label, in 1991, resulting in the re-release of his 1983 single ‘I Don’t Want To See Myself (Without You)’, sparked a return to music that yielded some of Callier’s best work. He contributed vocals to Beth Orton’s 1997 EP ‘Best Bit’, before releasing TimePeace in 1998, which earned Callier the United Nations' Time For Peace award. He collaborated with Orton again on her Central Reservation album from 1999, before releasing Speak Your Peace in 2002, Lookin’ Out in 2005 and Hidden Conservations, produced and co-written by Massive Attack, in 2009.